A new start with photos to share within the new hobby barn. The great thing about starting over is that one can rebuild with what you have as I am in stages or start from scratch as many model railroaders do. Follow along as I send in more progress photos and enjoy. 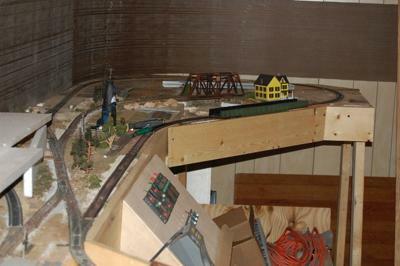 This is one return loop end of the new and improved layout. Thank you for the great compliments. Model railroads are never done. Just keep on adding to them because that's the fun of the hobby! !